Enjoy the top 5 famous quotes, sayings and quotations by Ann Shulgin. 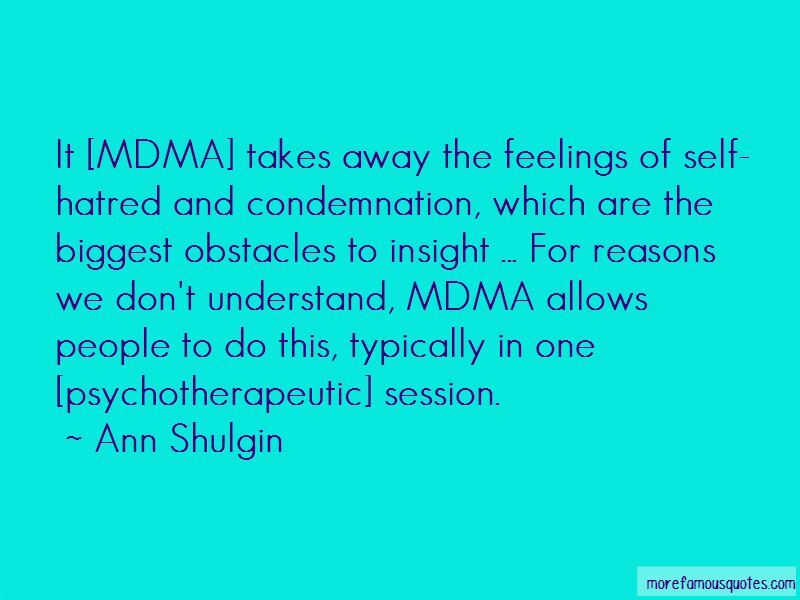 It [MDMA] takes away the feelings of self-hatred and condemnation, which are the biggest obstacles to insight ... For reasons we don't understand, MDMA allows people to do this, typically in one [psychotherapeutic] session. 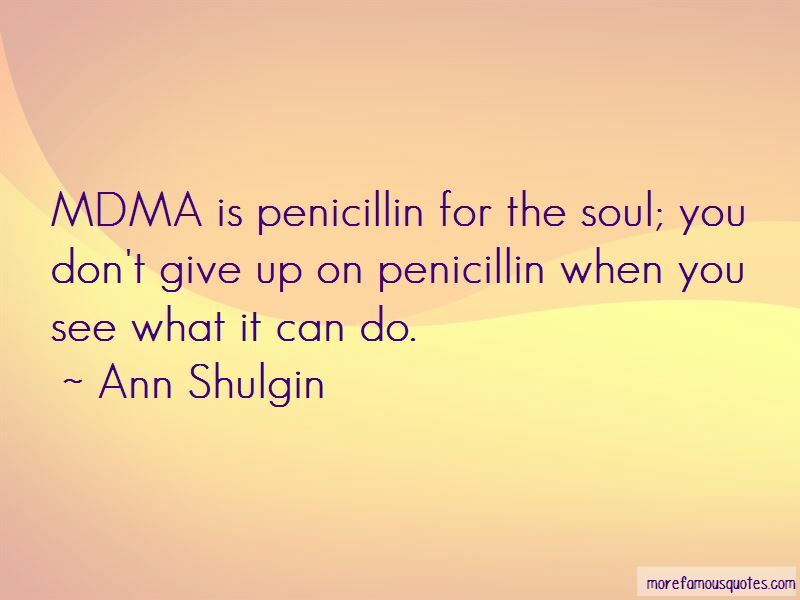 MDMA is penicillin for the soul; you don't give up on penicillin when you see what it can do. Want to see more pictures of Ann Shulgin quotes? 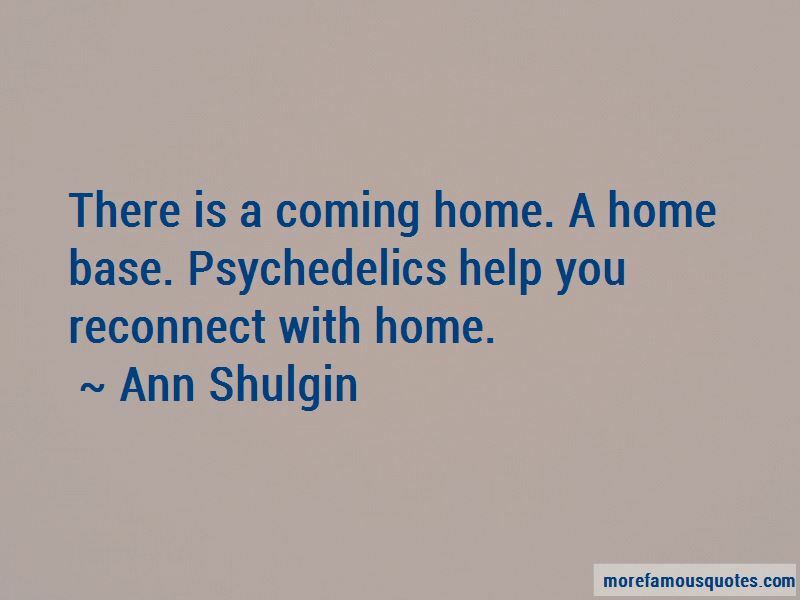 Click on image of Ann Shulgin quotes to view full size.